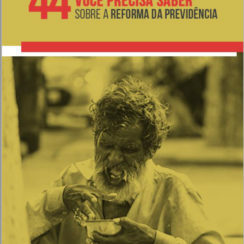 August 19, 2009, was a historic day in the struggle for official auditing of public debt in Brazil, a process already drafted in the Federal Constitution of 1988, and demanded for many years by the Brazilian social movements, especially Auditoria Cidadã da Dívida (“Citizens’ Auditing the Debt”), a campaign that begun after the National Plebiscite about the Debt in 2000, in which more than 6 million Brazilians participated. At 3 p.m. on that day the 16th Plenary meeting of the House of Representatives formally set up the Parliamentary Commission for the auditing of the Public Debt (“Debt`s CPI”), proposed by Deputy Ivan Valente (PSOL/SP), who had collected signatures for its proposal, had it approved by the Board in late 2008, and eventually had led an arduous campaign to get the various parties to designate their members. Click here to access the Bulletin of Deputy Ivan Valente about the installation of the “Debt`s CPI”. The CPI will investigate the public debt of the Union, states and municipalities, interest payments, the beneficiaries of these payments and its dramatic impact on social policies and sustainable development in the country. Several major newspapers reported the start of the CPI (see the websites below), which shows that the CPI is already fulfilling the role of placing the debt issue on the national agenda. Several important associations participated in the meeting: ANDES (National Union of Teachers of Federal Universities), ANFIP (National Association of Tax Auditors of the Federal Revenues), Sinait (National Association of Labor Tax Auditors), IFC (Institute of Inspection and Control of the Court of Audit), ASISEFE (Association of Retired members and Pensioners of the Senate), SINASEFE (National Syndicate of the Federal Employees in Education), Feminist Center for Studies and Asessment (CFEMEA), Citizen Debt Audit and Jubilee South Network. The members of the Commission – the composition of which mirrors the proportionality of the Plenary, where the government has a majority – voted for Mr Virgilio Guimaraes (PT/MG) as president. He recalled that he had participated in the 1988 Constituent Assembly, which established the principle of debt auditing, and that the CPI is a step toward its implementation. He invited the associations represented to get involved in the CPI’s inquiry work, which is an important signal that the Commission intends to work hand in hand with the civil society. The First Vice-President, Mr Márcio Reinaldo (PP-MG), who had participated in the organization of a seminar on “Citizen Debt Audit” in the auditorium Nereu Ramos in 2002, in Brasilia, emphasized the importance of the CPI, and mentioned examples of debts to be investigated. He also told that the debt audit in Ecuador is a historical precedent and an example for the work of the CPI. The Second Vice-President, and proponent of the CPI, Mr Ivan Valente (PSOL / SP) stressed the historical importance of this Commission, and that the Parliament cannot continue talking about small scandals, but has to discuss major national issues, among which the allocation of more than 30% of the federal budget for the payment of interest and repayments of debt. He congratulated all deputies who had contributed to the installation of the CPI and thanked the movements that supported debt auditing for their commitment and persistence. Ivan Valente noted that the Commission should be above partisan interests, and must fulfill its role, no matter what government happens to be in power. The Third Vice-President, Mr Hugo Leal (PSC / RJ), and the other deputies present at the meeting highlighted information contained in the documents about the Citizen Debt Audit distributed at the meeting, especially the graph of the federal budget, prepared by volunteer economist of the Citizen Debt Audit, Rodrigo Avila. The graph shows clearly the privilege of the debt at the expense of social spending, warning about the perverse impact of the debt on municipalities, which suffer without resources to attend to the needs of the population, while revenues are concentrated at the federal level for the debt payment. According to Maria Lucia Fattorelli, who has coordinated the work of Citizen Debt Audit since its creation, and was a member of the Ecuador`s Audit Commission of Public Debt, the CPI is a historical opportunity to investigate the questionable process of the Brazilian debt. The responsibility of parliamentarians is immense. She considers that the involvement of Brazilian and international civil society in the CPI will be important to provide subsidies, also contributing to the publicity and transparency of proceedings. She informs that, immediately after the CPI’s first meeting, she received support messages from all over the country and abroad, from Ecuador, Argentina, Peru, Uruguay, Colombia, Mexico, Bolivia, Honduras, Belgium, containing commitments of support and confidence in success. The importance of the CPI was reported in major newspapers, such as Valor Econômico, which attempted to convey a message of tranquility to debt investors about the investigations of the CPI. The Valor tried to compare the debt data provided by Mr Ivan Valente (based on information from the Citizen Debt Audit) with the criteria used by the government that comply with the concept of “net debt”, which excludes from the gross amount of debt the value of international reserves that are currently represented mostly by USA Bonds. But the newspaper did not make it clear that the interests received by international reserves are negligible and even negative, because the dollar is depreciating against the Real (Brazilian currency). Moreover, interests paid by Brazil in the domestic and external debt are very high. The Jornal do Brasil includes an article by Ivan Valente about the CPI. The Agencia Câmara and the Congresso em Foco also reported about the installation of the Commission, with an interview of the initiator of the CPI. The next CPI meeting was scheduled for Wednesday, Aug. 26, when the rapporteur of the committee will be elected and the script for the CPI’s work will be discussed, a task that is huge and complex given the size of Brazilian external and internal debts at the level of the Federal Government, the States and the municipalities, and considering their impact on the lives of Brazilian people. News about the Commission below. BRASÍLIA – A Câmara dos Deputados instalou hoje a Comissão Parlamentar de Inquérito (CPI) da Dívida Pública. Presidida pelo deputado Virgílio Guimarães (PT-MG), a CPI vai investigar a dívida pública da União, dos estados e dos municípios, o pagamento de juros, amortizações e quais são os beneficiários. O autor do requerimento de criação da comissão, deputado Ivan Valente (P-SOL-SP), foi eleito segundo-vice-presidente e o relator será escolhido na próxima semana. O indicado para o cargo deverá ser um deputado do PMDB. “A investigação da dívida pública brasileira vai engrandecer o Poder Legislativo”, disse Ivan Valente. Para ele, a CPI é um instrumento de politização que vai investigar o impacto econômico, social e político da dívida. “Para onde vai o dinheiro público?”, perguntou. Valente espera que a CPI estabeleça uma dinâmica de trabalho em prol do interesse público. Segundo o deputado, de 1995 a 2009, a dívida interna cresceu 25 vezes, tendo subido de R$ 62 bilhões para R$ 1,6 trilhão. Ele acrescentou que a dívida externa aumentou 80%, passando de US$ 148 bilhões para US$ 267 bilhões. Participaram da reunião de instalação da CPI representantes de várias entidades, como a Auditoria Cidadã da Dívida, o Jubileu Sul, a Associação Nacional dos Docentes das Instituições do Ensino Superior (Andes), o Instituto de Fiscalização e Controle do Tribunal de Contas da União, a Associação dos Aposentados e Pensionistas do Senado Federal, o Sindicato Nacional dos Servidores Federais de Educação, o Centro Feminista de Estudos e Assessoria (Cfemea) e a Associação Nacional dos Auditores Fiscais da Receita Federal do Brasil. A próxima reunião da CPI foi marcada para quarta-feira (26). Depois de dois anos de tentativa, o P-Sol, nascido de uma cisão do PT em 2004, conseguiu fazer com que a Câmara dos Deputados criasse uma Comissão Parlamentar de Inquérito (CPI) para auditar a dívida pública brasileira frente a credores internos e externos, no âmbito da União, Estados e municípios. O deputado Ivan Valente (P-Sol-SP), que liderou o movimento pela criação da CPI, tentou, mas não obteve o comando dos trabalhos. Sinalizando preocupação em conter possíveis efeitos negativos sobre os financiadores da dívida, a base aliada se mobilizou para fazer o presidente e o vice. Já eleita, a presidência da nova comissão, instalada ontem, ficou com o deputado Virgílio Guimarães (PT-MG). Como primeiro vice-presidente foi escolhido o deputado Márcio Reinaldo Moreira (PP-MG), outro integrante da base aliada. Ciente de sua condição de minoria, o P-Sol sequer insistiu na candidatura de Valente, que, por acordo, acabou ficando com a segunda vice-presidência. O relator ainda não foi oficialmente nomeado. Pelo acordo com o PMDB, que apoiou a indicação de Virgílio, a relatoria deverá ficar com o deputado Pedro Novais (PMDB-MA). A preocupação dos governistas em evitar que a CPI se transforme em fonte de nervosismo para investidores em títulos de dívida soberana ficou evidente no discurso cuidadoso de Virgílio Guimarães. Tanto na reunião quanto na entrevista que concedeu ao Valor depois de ser empossado, o presidente tratou de esclarecer que o inquérito a ser promovido pela comissão não tem caráter de investigação policial nem tem por trás nenhuma intenção de dar calote nos credores. “Aqui o inquérito é no sentido de estudo, de pesquisa”, disse. O deputado Ivan Valente tem outra expectativa. Se depender dele, a CPI vai sim usar o seu poder para identificar causas e responsáveis pelo “exagerado e ilegítimo” crescimento da dívida pública durante os governos de Fernando Henrique Cardoso (1995-2002) e de Luiz Inácio Lula da Silva (2003 até hoje). Baseado num manifesto do grupo de entidades que lutou pela criação da CPI, o deputado lembrou que, entre 1995 e 2009, “a dívida interna cresceu 25 vezes, tendo subido de R$ 62 bilhões para R$ 1,6 trilhão”. Nesse mesmo período, destacou, a dívida externa, por sua vez, “aumentou 80%, de US$ 148 bilhões para US$ 267 bilhões”. Conforme Valente, somadas, essas duas dívidas representam mais de R$ 2,2 trilhões, algo perto de 80% do Produto Interno Bruto. Ainda que os números do parlamentar estejam corretos, na visão do governo, o que interessa é a dívida líquida, conceito que engloba ativos do setor público, como reservas cambiais. Nesse conceito, a dívida pública interna e externa do país fechou junho de 2009 em R$ 1,25 trilhão ou 43,1 % do PIB estimado para os últimos 12 meses. Diferentemente de Virgílio, Ivan Valente parte do pressuposto de que há irregularidade na formação desse saldo, incluindo aí a prática de altos juros por Banco Central e Tesouro . Por isso, Valente não descarta que a CPI aponte necessidade de revisão e cancelamento de parte da dívida. RIO – Depois de muita luta e pressão social, nesta quarta-feira, 19 de agosto, a Mesa Diretora da Câmara dos Deputados finalmente instalou uma Comissão Parlamentar de Inquérito para investigar a dívida pública da União, estados e municípios – este que é o principal gargalo do desenvolvimento brasileiro. Aprovada desde dezembro, após pedido apresentado pelo nosso mandato, a CPI esperou muito tempo até que os líderes partidários indicassem nomes para seu funcionamento. Não sabemos se por desconhecimento da importância da iniciativa ou se por vontade de boicotá-la. A questão é que a CPI finalmente saiu do papel e é hora, agora, de o país investigar a sério este mecanismo que causa uma hemorragia brutal nas finanças públicas do Brasil, através do pagamento de juros, amortizações e rolagem da dívida com recursos orçamentários e a emissão de títulos públicos. Trata-se de um sistema que se retroalimenta e impede qualquer desenvolvimento soberano, sustentável e com justiça social. Olhando apenas para os governos dos dois últimos presidentes – FHC e Lula – a dívida interna brasileira aumentou 17 vezes. No começo de governo FHC (janeiro de 1995), ela era de R$ 62 bilhões. Em janeiro deste ano, já no governo Lula, ela ultrapassou R$ 1,68 trilhão. No mesmo período, o governo federal gastou R$ 906 bilhões com juros e outros R$ 879 bilhões com amortizações das dívidas interna e externa. É importante lembrar, inclusive, que, ao contrário do que fizeram crer a população, a dívida externa brasileira ainda existe. Somente no ano passado, o que o governo federal desembolsou com juros e amortizações da dívida pública corresponde a mais de 30% do orçamento da União. Fica claro então que, para pagar as obrigações da dívida, os governos cortam investimentos na área social, sucateando os serviços públicos e enxugando a máquina pública. Isto aumenta a miséria, as péssimas condições de educação, saúde, e ainda mais a desigualdade social. Não é à toa que seguem válidos os vetos ao Plano Nacional da Educação, que permitiria ampliar os gastos no setor para 7% do PIB; ou que os investimentos na saúde seguem estacionados mesmo em tempos de epidemia. Mas, mesmo com todos esses gastos, a dívida continua crescendo, e ninguém questiona seu pagamento. Basta olhar para o que aconteceu no auge da crise econômica no país. Para fazer caixa, em vez de parar o pagamento dos juros e amortizações da dívida, o governo editou medidas provisórias liberando a emissão de títulos públicos a qualquer hora e lugar. A CPI da Dívida Pública será um poderoso instrumento de levantamento de informações, denúncia e construção de propostas para superar esse modelo perverso. Vamos analisar, por exemplo, os trabalhos de comissões parlamentares anteriores que já estudaram essa questão, como a Comissão Especial do Senado para a Dívida Externa, de 1987, cujo relator foi o então senador Fernando Henrique Cardoso, e a Comissão Mista de 1989, cujo relatório não foi sequer votado pelo Parlamento. Queremos ainda conhecer quem possui títulos da dívida interna pública federal e sua participação no total da dívida: bancos, fundos de investimentos, fundos de pensão, instituições financeiras, pessoas físicas, pessoas jurídicas não residentes no Brasil etc. Tudo isso permitirá saber quem realmente seria afetado por uma mudança no pagamento da dívida. No ano 2000, mais de 36% da dívida interna estavam em poder dos bancos. Enfim, é urgente investigar a nossa dívida pública, identificar suas parcelas que foram contraídas de forma ilegal e levantar informações que possam ajudar na realização de uma auditoria da dívida – que está, inclusive, prevista em nossa Constituição Federal, mas que nunca saiu do papel. A CPI será, portanto, um instrumento poderoso de esclarecimento da população para superar esse modelo perverso de acúmulo de riquezas, de favorecimento do capital financeiro e que impede o verdadeiro desenvolvimento do país. Foi instalada nesta quarta-feira, na Câmara dos Deputados, a CPI da Dívida Pública. A comissão vai ser presidida pelo deputado Vírgílio Guimarães (do PT de Minas), e investigará a dívida pública da União, dos estados e dos municípios, o pagamento de juros, amortizações e os beneficiários. Segundo o deputado Ivan Valente, autor do requerimento de criação da CPI, de 1995 a 2009, a dívida interna cresceu 25 vezes. Subiu de R$ 62 bilhões para R$ 1,6 trilhão. A dívida externa aumentou 80%. A próxima reunião foi marcada para quarta-feira que vem. Ivan Valente (D) acredita que CPI vai reintroduzir o tema na agenda do legislativo. A Câmara instalou nesta quarta-feira comissão parlamentar de inquérito que vai investigar pagamentos relativos às dívidas interna e externa do país. A CPI da dívida Pública, criada em 2008, mas só instalada agora, vai analisar a composição da dívida pública da União, estados e municípios, o pagamento de juros e amortizações, os beneficiários destes pagamentos e o impacto nas políticas sociais e no desenvolvimento sustentável do País. Eleito presidente da CPI, o deputado Virgilio Guimarães (PT-MG), explicou que o objetivo da comissão é esclarecer a sociedade e avaliar o impacto da dívida sobre a economia brasileira. O deputado não descartou eventuais investigações financeiras, mas ressaltou que o objeto central será uma ampla radiografia da dívida. “Nós queremos encerrar essa CPI rigorosamente dentro dos prazos. Não há intenção de passar para o próximo ano. A CPI não terá foco em disputas políticas”. Virgilio Guimarães lembrou que há previsão de uma ampla auditoria da dívida brasileira nas Disposições Transitórias da Constituição brasileira. E que desde 1988 o Congresso está em dívida com o texto constitucional. Como a CPI deve trabalhar em várias frentes de investigação, o deputado adiantou que a CPI pode ter vários grupos de trabalho. Para o deputado Ivan Valente (Psol-SP), autor do requerimento para instalação da CPI e que foi eleito 2º vice-presidente, a CPI da dívida Pública reintroduz o tema da dívida pública na agenda do Legislativo e garantirá maior visibilidade para o debate do assunto. Ele ainda lembrou que o pagamento da dívida inviabiliza gastos sociais e de infraestrutra no país. Na reunião também foram eleitos para a 1ª e a 3ª vice-presidência os deputados Marcio Moreira (PP-MG) e Hugo Leal (PSC-RJ), respectivamente. A escolha do relator ficou para a próxima quarta-feira. O cargo deverá ficar com o PMDB. Uma CPI para desagradar ao governo e à oposição. Assim pode ser definida a comissão parlamentar de inquérito instalada ontem (19) na Câmara para apurar a dívida pública brasileira. A resistência dos parlamentares em mexer no assunto pode ser medida pelo tempo em que o seu pedido de criação se arrastou na Casa. Mais de um ano se passou entre a apresentação das assinaturas até a instalação do colegiado. Sem atrair os mesmos holofotes que outras comissões, a CPI da Dívida Pública deve centrar fogo nas gestões do PSDB, do ex-presidente Fernando Henrique Cardoso, e do PT, do presidente Lula. Criada com base em levantamento do Congresso em Foco, a comissão foi encampada pelo deputado Ivan Valente (Psol-SP), que vê em sua instalação o primeiro passo para a realização de uma auditoria nas dívidas interna e externa da União, dos estados e dos municípios, como prevê a Constituição Federal. “Se pegarmos os governos Fernando Henrique Cardoso e Lula, de 1995 a 2008, veremos que foram pagos cerca de R$ 1,8 trilhão em juros e amortizações. Nesse mesmo período, a dívida interna cresceu de R$ 61 bilhões para R$ 1,68 trilhão. O governo FHC decuplicou a dívida até 2002. O governo Lula acrescentou um trilhão a esse montante”, diz Ivan Valente, citando dados da ONG Auditoria Cidadã da Dívida. De acordo com o deputado, o país gasta metade de seu orçamento todos os anos apenas com o pagamento de juros, amortizações e rolagem da dívida pública. Dinheiro que deixa de ser gasto com áreas prioritárias e carentes, como saúde e educação pública. “Só em 2008, gastamos R$ 282 bilhões com juros e amortizações da divida pública. Na fatia da arrecadação de impostos, isso corresponde a 30,5% da arrecadação tributária. Se somarmos a isso a rolagem da dívida, ou seja, a emissão de títulos públicos para empurrar a dívida pra frente, chegamos à conclusão de que 48% do orçamento brasileiro foram consumidos com juros e pagamento da dívida. Em outras palavras, metade do esforço nacional é para satisfazer as necessidades do mercado internacional e trabalhar com a especulação financeira do país”, reclama Ivan Valente. Eleito segundo vice-presidente da CPI, o deputado paulista adianta que a comissão vai cobrar explicações do Banco Central sobre quem são os maiores detentores de títulos da dívida pública e convocar diretores e ex-dirigentes da instituição. “Pretendemos convocar para depor o presidente do BC, Henrique Meirelles, e ex-presidentes como Armínio Fraga e Gustavo Franco, entre outros. Esperamos que essa CPI não seja para abafar nada, mas para esclarecer o público”, afirma. A iniciativa de Valente se baseia em matéria publicada pelo Congresso em Foco que mostrou que o governo federal destinou mais de R$ 851 bilhões somente para o pagamento de juros nominais da dívida pública consolidada (interna e externa) entre 2003 e 2007. Para se ter uma idéia desse valor, é como se cada um dos 186 milhões de brasileiros tivesse desembolsado R$ 4,57 mil, em cinco anos, para o pagamento de juros da dívida, contraída pelos governos federal, estaduais e municipais, o Instituto Nacional do Seguro Social (INSS) e as estatais brasileiras. O montante equivale a 22 vezes o que o governo federal previa arrecadar só em 2008 com a extinta Contribuição Provisória sobre Movimentação Financeira (CPMF) (leia mais). Congresso em Foco – O que significa a instalação da CPI da Dívida Pública? Ivan Valente – Conseguimos mais de 190 assinaturas há mais de um ano. A criação da CPI foi assinada pelo ex-presidente da Câmara Arlindo Chinaglia em dezembro do ano passado. A Câmara demorou sete meses para nomear os integrantes da CPI. Isso mostra a preocupação da Casa com um assunto dessa relevância, que é o verdadeiro gargalo do desenvolvimento econômico do país. Por que o assunto tem tanta importância para o país? Os números falam por si só. Nosso requerimento se baseou em reportagem do Congresso em Foco que mostrava que cada brasileiro pagou o equivalente a R$ 4,7 mil com juros da dívida pública em cinco anos. Depois disso, nós fizemos outros levantamentos com a Auditoria Cidadã da Dívida. Só em 2008, gastamos R$ 282 bilhões com juros e amortizações da divida pública. Na fatia da arrecadação de impostos, isso corresponde a 30,5% da arrecadação tributária. Se somarmos a isso a rolagem da dívida, ou seja, a emissão de títulos públicos para empurrar a dívida pra frente, chegamos à conclusão de que 48% do orçamento brasileiro foram consumidos com juros e pagamento da dívida. Em outras palavras, metade do esforço nacional é para satisfazer as necessidades do mercado internacional e trabalhar com a especulação financeira do país. No primeiro semestre, segundo números da Auditoria Cidadã, chegaríamos a 34% com juros de amortizações. Se pegarmos os governos Fernando Henrique Cardoso e Lula, de 1995 a 2008, veremos que foram pagos cerca de R$ 1,8 trilhão em juros e amortizações. Nesse mesmo período, a dívida interna cresceu de R$ 61 bilhões para R$ 1,68 trilhão. O governo FHC decuplicou a dívida até 2002. O governo Lula acrescentou um trilhão a esse montante. Mas o governo diz que não há mais dívida externa. O senhor não concorda? Existe, sim, dívida externa. É de 208 bilhões de dólares. Eles dizem que acabou porque o país tem reservas internacionais que cobririam montante semelhante ao da dívida externa brasileira. Mas é importante frisar: três quartos das reservas internacionais brasileiras, ou seja, 140 bilhões de dólares, estão investidos em títulos do Tesouro americano. Por que isso é mau negócio para o país? Sabe quanto eles rendem? Entre 0% e 1%. 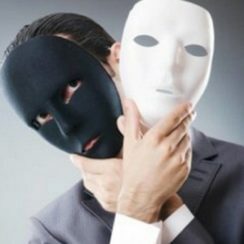 Enquanto isentamos de impostos especuladores financeiros que entram na bolsa e compram nossos títulos da dívida, nós deixamos lá o dinheiro para render menos de 1%. Além disso, pagamos o dinheiro que eles nos mandam a juro real de 6%. É um mecanismo perverso. Que efeito isso tem na economia como um todo? A dívida pública condiciona a política econômica como um todo. O conceito de superávit primário, criado no Conselho de Washington, só existe para pagar juros e amortização da dívida. Quer dizer, é economia para pagar juros da dívida pública. É um mecanismo para garantir a supremacia do mercado financeiro. Por que as altas taxas de juros no Brasil não caem? Porque aqui o mando do capital financeiro é total. Falta debate público sobre essa questão. Quem são os culpados por essa falta de debate? O Congresso e os meios de comunicação de massa não debatem uma questão como essa, nem a não realização de uma auditoria da dívida pública. Isso ocorre porque o mercado financeiro é o grande financiador tanto dos partidos políticos quanto da grande mídia. Essa discussão precisa vir à tona. A CPÌ tem tudo para prestar enorme serviço à sociedade como um instrumento de esclarecimento. Na prática, como a CPI vai funcionar? Como autor do requerimento de criação, vou reivindicar a presidência, mas estou pessimista em relação a isso. Nossa estratégia é apresentar diversos requerimentos. 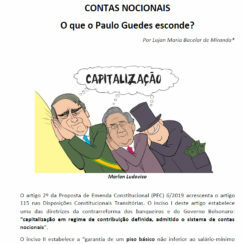 Entre eles, um questionando os integrantes do Copom (Comitê de Política Monetária), gente que estabelece a taxa de juros e debate a política monetária do país e depois vai para a iniciativa privada representar as instituições financeiras. Pretendemos convocar para depor o presidente do BC, Henrique Meirelles, e ex-presidentes como Armínio Fraga e Gustavo Franco, entre outros. Pretendemos montar uma equipe de economistas que tenham familiaridade com esse debate porque essas pessoas não têm tido voz na grande mídia. Também vamos convocar os economistas que sempre denunciaram o significado dessa brutal sangria para o pagamento de juros. Esperamos que essa CPI não seja para abafar nada, mas para esclarecer o público. O que mais a CPI poderá revelar? Quem lucra, quem ganha com essa ciranda financeira? É algo que vamos aprofundar. 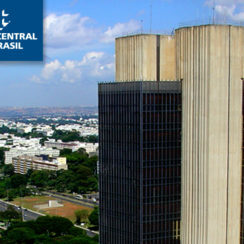 O Banco Central precisa informar quem são os maiores detentores de títulos da dívida. O ex-ministro da Fazenda Pedro Malan gostava de dizer que esses fundos estavam nas mãos do povo. Temos informação de que mais da metade estão com os fundos de pensão e as grandes instituições financeiras. Na crise econômica, o governo tem recorrido à emissão de títulos públicos, o que é uma maneira de endividar ainda mais o país. Em vez disso, deveria fazer uma auditoria, suspender o pagamento dos juros e esticar o pagamento da dívida pública. Medidas que poupariam o Estado de brutal pagamento de juros a detentores de títulos da dívida. Que proposta objetiva deve sair da CPI da Dívida Pública? Esperamos concluir as atividades com a realização de uma auditoria da dívida pública brasileira. E, se houver pressão popular, com a suspensão temporária do pagamento de juros da dívida pública. Vamos ver a correlação de forças. Mas isso é viável no Brasil? O Equador está passando por um processo de auditoria da dívida externa. Eles conseguiram abater 70% da sua dívida externa, porque a maioria dos contratos era ilegal. Sobre a renegociação da dívida, o exemplo argentino de sete anos atrás é elucidativo. A Argentina simplesmente suspendeu o pagamento e renegociou o valor por um quarto. O mercado fez enorme terrorismo dizendo que o país tinha morrido para o capital financeiro. Três meses depois eles voltaram e renegociaram o valor da dívida por um quarto do valor de face dos títulos. A Argentina, que pagava até 16% em juros, baixou para 4%. Um fundo italiano, investindo na Itália, não ganha mais que 1%. Certamente, essas saídas serão atacadas pela hegemonia do capital financeiro. 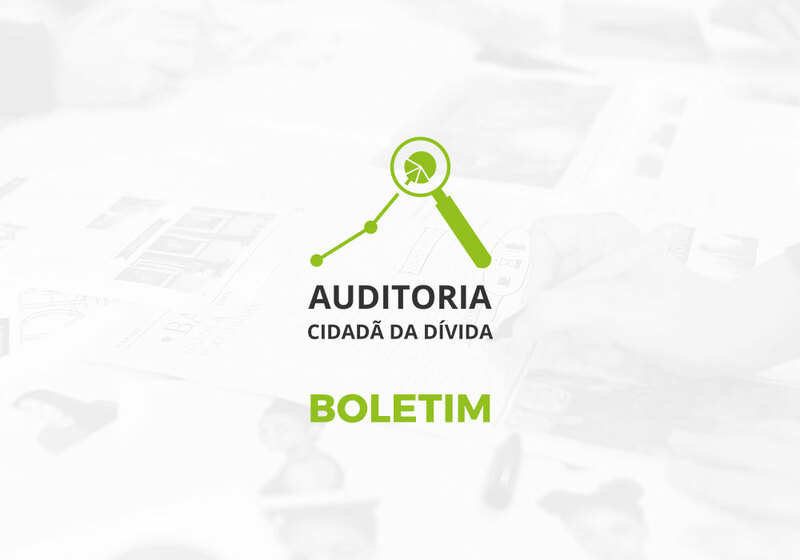 Vejam diariamente na página www.divida-auditoriacidada.org.br “Notícias diárias comentadas sobre a dívida” com seleção de matérias e comentários.